Summary: At twenty-two years old, aspiring musician Sydney Blake has a great life: She’s in college, working a steady job, in love with her wonderful boyfriend, Hunter, and rooming with her good friend, Tori. But everything changes when she discovers Hunter cheating on her with Tori—and she is left trying to decide what to do next. Review: Wow wow just wow!!!! I well and truly lost my heart and soul to 'Maybe Someday'. If you think of the most unconventional love story as well as imagining every single complication humanly possible, you're still not even close to Ridge and Sydney's epic love story. I found myself finding it hard to breathe whilst inhaling their story. As a reader I was on the edge of my seat throughout, Colleen definitely knows how to build up the tension of a story until the very last words. Sydney is a love able girl who finds out that her best friend and her boyfriend are cheating on her on her birthday. This news would shatter anyone on any day of the week but on your birthday, that's just as rough as it gets. Sydney's head is all over the place, but one thing that she's certain of is that she doesn't want to run home to her parents. So when Sydney is shocked by kindness and given a place to stay by her adorable neighbour Ridge, she is instantly intrigued by the guy who plays the guitar so impressively each night on the balcony. I love how Colleen has written both from Sydney and Ridge's point of view and I especially liked the different text for the emails and messages, it gave a real feel to the story and how each of the characters were really feeling throughout. For me a love story with a guitarist is just like a slice of heaven.....there are sooo many complications that make this story complex, intriguing and amazing. Ridge and Sydney become great friends through music he plays and occasionally writes. Yet when he meets Sydney he has the worst case of writers block, that is until she comes along and changes everything he has ever known. I was constantly on edge to know what would happen next....when I said complicated you would not believe quite how complicated until you start reading Colleen's breath-taking novel. I could say so much more but I do not wish to ruin the story for any of you. It's something that you have to uncover as a reader. It's quite clear that Ridge and Sydney are perfect for each other, but it's not quite that simple. Maggie has been Ridge's one and only since he was nineteen years-old and Sydney has just been betrayed by the two people she cared about most in the world, and she's not prepared to be that same woman to someone else. 'Maybe Someday' will draw you in and spit you out but my oh my what a breath-taking journey it was. The twists were huge and covered a number of real-life issues. If you choose to read this novel you'll find out what I mean. 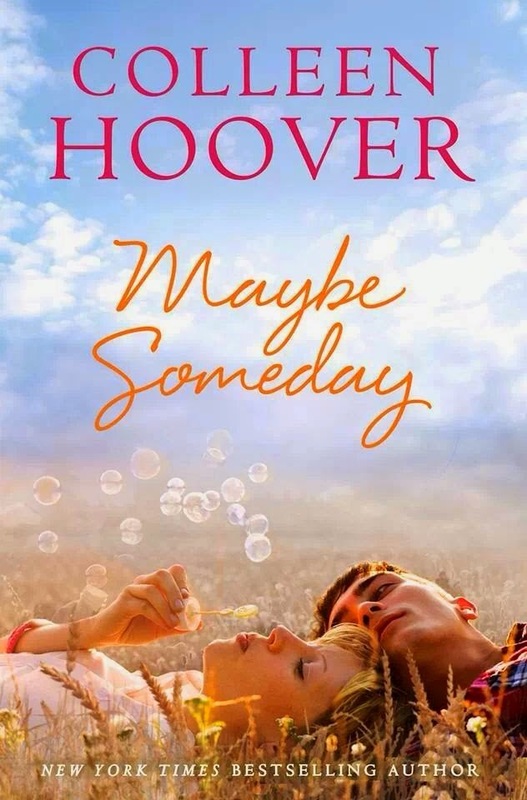 I just want to say I wasn't prepared for the book hangover 'Maybe Someday' gave me. I even ended up reading a few short stories after as my head was still swirling in Ridge and Sydney's story.